At 39 years old, Mark Hunt doesn’t have a lot of time to be sitting on the sidelines. Unfortunately, his injured leg is keeping him from resuming his duties inside the Octagon. 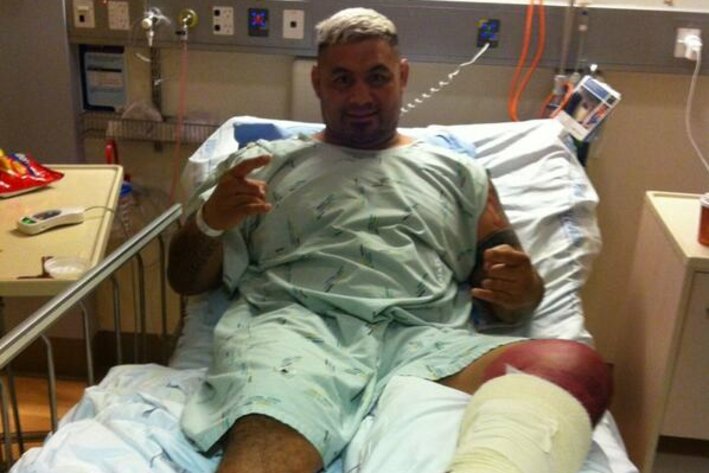 Ultimate Fighting Championship (UFC) heavyweight slugger, Mark Hunt, could be headed back to the hospital next week to continue treatment for the giant, gaping hole in his leg, caused by infected hematoma. See video of his most recent treatment here. Warning, that video is NSFW. Unfortunately, Hunt’s skin graft did not survive, which means the “Super Samoan” could be hospitalized for a second time. In addition, he’s already scheduled to see a plastic surgeon early next week to try to get his leg patched up and back in working order. well troops jus wanted u guys to know the skin graph didnt survive,and i think i will be back in hospital next week,its a bummer really cause the hill song confrence is starting next tuesday i hope i dont have to go hospital,but we will see i see plastic surgeon tuesday.didnt realise how bad this is man.anyways troops will keep u guys informed roger roger over and out lol. 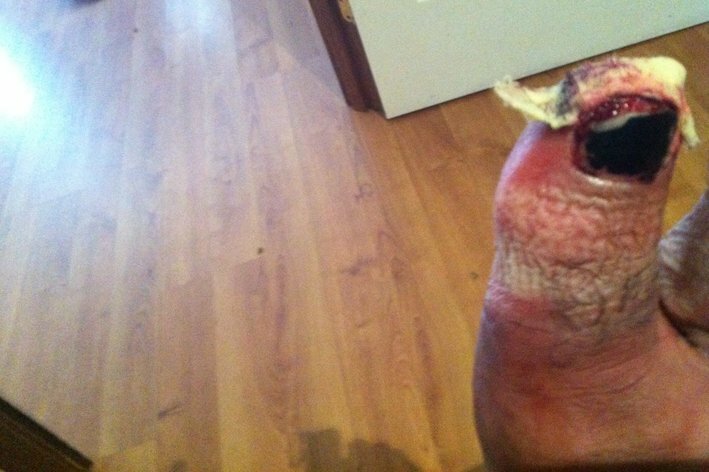 The cause of his infection was not revealed. It has been a rough couple of months for Hunt (9-8), who also saw his title hopes go out the window when he had his face pushed in by Junior dos Santos at the UFC 160 pay-per-view (PPV) event last month in Las Vegas (replay here). 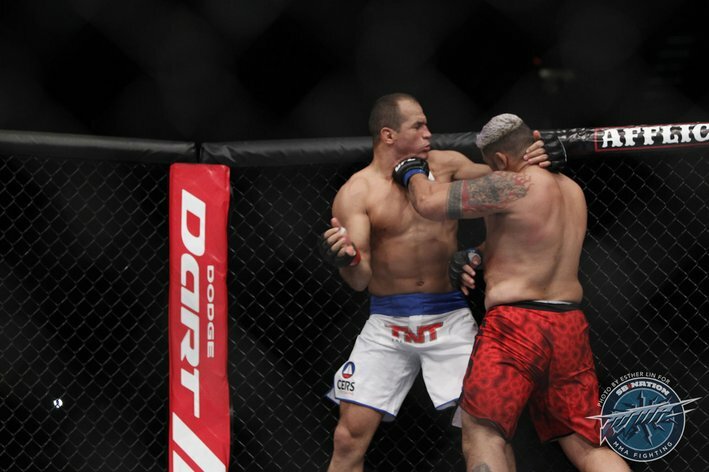 The knockout loss to “Cigano” snapped an impressive four-fight winning streak. If and when he returns to the cage, remains to be seen. Mark Hunt revealed on his Twitter account over the weekend that he has an infected hematoma in his left leg and will require multiple surgeries. Ultimate Fighting Championship (UFC) Heavyweight Mark Hunt is a self-described “walking infection” following his knockout loss to Junior dos Santos at UFC 160, and is in need of multiple surgeries to fix the lingering issues. On top of the gruesome broken toe Hunt suffered in the first round of his slugfest with “Cigano,” the 39-year-old has been dealing with an infected hematoma in his left leg. Hunt has already undergone one surgery to help clear the infection and according to a message posted on his official Twitter account, will need at least one or two more to avoid any further complications. “The Super Samoan” did not reveal exactly how the hematoma in his leg got infected, but regardless of the surgeries still appears to be in high spirits. Hunt’s fairytale resurgence up the heavyweight ranks was brought to an abrupt halt at UFC 160 when dos Santos nailed the former K-1 kickboxing with a spinning back kick to the head in the third round that led to the end of the fight. Going into the event, Hunt was riding a four-fight win-streak and was on the verge of a title shot. Unfortunately, the fight with dos Santos didn’t go his way, but that didn’t change the fact Hunt is still one of the most beloved fighters on the UFC roster. How much did your favorite mixed martial arts (MMA) fighter make at last weekend’s UFC 160 event in Las Vegas? Find out from the Nevada State Athletic Commission (NSAC) below! UFC 160 fighter payouts for those who competed at the “Velasquez vs. Bigfoot 2” pay-per-view (PPV) event this past Saturday night (May 25, 2013) from the MGM Grand Garden Arena in Las Vegas were released to MMAmania.com earlier today by the Nevada State Athletic Commission (NSAC). Not surprisingly, reigning Ultimate Fighting Championship (UFC) Heavyweight Champion Cain Velasquez and the man he took the strap from, Junior dos Santos, were the top earners of the night. Cain banked a flat-fee of $400,000 for pounding out “Bigfoot” Silva while “Cigano” claimed $240,000 for finishing Mark Hunt. The “Super Samoan” may have lost out on a potential title shot; however, he’ll have 160,000 reasons to feel better about himself after taking a trip to his local financial institution. Trailing behind the New Zealander were Mike Pyle and Donald Cerrone, who scored $84,000 and $82,000, respectively, for their winning performances. Here is the complete list of UFC 160 payouts and salaries. The total disclosed payroll for UFC 160: “Velasquez vs. Bigfoot 2” was $1,533,000. Keep in mind the salaries listed above do not include fight bonuses, sponsorships, percentages and other unofficial payments such as PPV bonuses, among others. It also does not include deductions for expenses such as insurance, taxes, etc. Jon Jones feels your pain. No word yet on how long Hunt will be on the shelf, but his mangled piggy is the least of his concerns. Heading into the UFC 160 event (results here), the former K-1 kickboxing champion — winner of four straight — was just one fight away from a shot at the title, currently held by Cain Velasquez, but must now return to the back of a very long line. Unless someone gets injured, or if he can pull off a “Bigfoot” Silva and get himself into the main event of next year’s Memorial Day Weekend pay-per-view (PPV) fight card. UFC 160 didn’t provide a lot of changes to the UFC fighter rankings, but lightweight T.J. Grant did make a jump after his win over Gray Maynard. The UFC fighter rankings usually see a fair amount of changes after each event but despite a bunch of ranked fighters competing at UFC 160, not a ton changed. Junior dos Santos cemented his place as the number one contender, Glover Teixeira won but couldn’t move past some bigger names, and Donald Cerrone’s win didn’t move him up either. You can check out the full rankings here, and use the dropdown menu to see the individual picks of the five BE contributors (myself, T.P. Grant, Chris Hall, Fraser Coffeen, and Stephie Daniels). One guy that did make a move though was T.J. Grant. 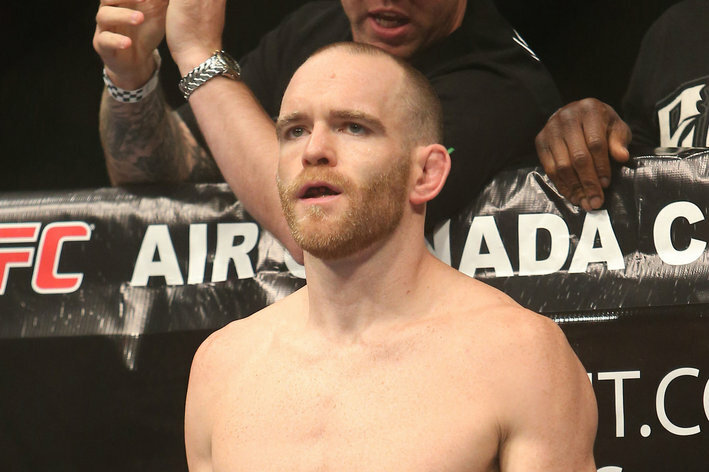 The Canadian lightweight defeated Gray Maynard by first-round TKO and earned a title shot against champion Ben Henderson. That was enough to move him up two spots from number 5 to number 3. Unsurprisingly, Maynard dropped from the three to five. There was no more movement at 155. One other development at UFC 160 was formerly-ranked Brian Bowles losing to George Roop. Bowles fell from the weight spot to right off the list. Mike Easton and Ivan Menjivar moved up one spot each (9 to 8, 8 to 7), and Team Alpha Male fighter T.J. Dillashaw makes his debut on the rankings in the number 10 spot. Dillashaw has won four fights in a row, most recently defeating Hugo Viana at UFC on Fox 7. The only other division affected was heavyweight. Roy Nelson passed Alistair Overeem for the five spot despite not fighting, while Travis Browne passed Mark Hunt for the nine spot due to Hunt losing to Dos Santos. Finally, Ronaldo Souza passed Constantinos Philippou for the five spot at middleweight, one week after taking out Chris Camozzi at UFC on FX 8. Mike Bohn of MMAmania.com provides a post-fight facts wrap up all the crucial milestones to come out of UFC 160: “Velasquez vs. Bigfoot 2” on Saturday night (May 25, 2013) in Las Vegas, Nevada. 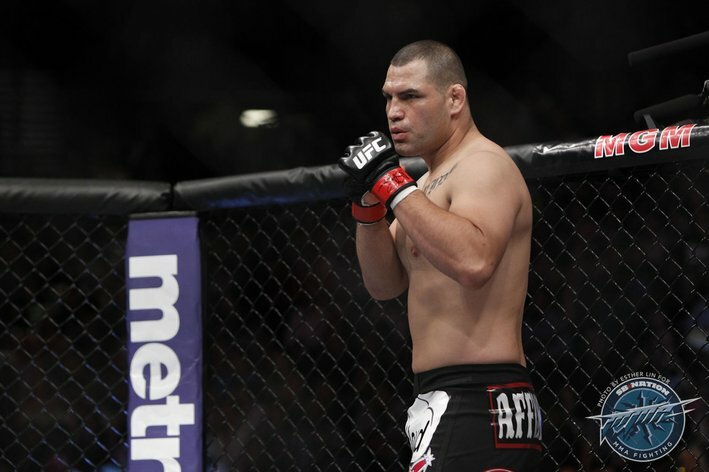 UFC 160: “Velasquez vs. Bigfoot 2” took place Saturday night (May 25, 2013) in Las Vegas, Nevada, with Cain Velasquez defeating Antonio Silva by first-round knockout (again) in the main event for his first-carer Ultimate Fighting Championship (UFC) heavyweight title defence. With an event that saw six of the 12 bouts on the card end by (technical) knockout or submission, including four of five on the main card, there were plenty of facts to come out of the UFC’s fourteenth mixed martial arts (MMA) event of 2013. Some are notable; others irrelevant and a few might even expand your knowledge. For instance, we know that Velasquez put a delivered a second first-round mugging against “Bigfoot” in a span of 365 days in the main event, except this time it was with the title on the line. More importantly, Velasquez achieved his first title defense, which helped him avoid being the first fighter in UFC history to hold a divisional title on two separate occasions without a successful defense. That’s not all we know, though. Velasquez’s 81-second victory over Silva was the fastest UFC championship fight since Junior dos Santos knocked out Velasquez to take the heavyweight title at UFC on FOX 1 in Nov. 2011. Overall, the result was the sixth fastest (technical) knockout finish ever in a UFC title fight. Dos Santos landed two knockdowns on Mark Hunt, moving his UFC career total to 11, which is fourth most all-time behind Melvin Guillard (11), Chuck Liddell (14) and Anderson Silva (17). Hunt was knocked out for the second time in his career and first time since Dec. 2008 — a span of 1607 days (four-plus years) and seven fights. Glover Teixeira improved to 4-0 since making his UFC debut on May 26, 2012. Five of the six defeats in the career of James Te Huna are by first-round submission. T.J. Grant earned a shot at Benson Henderson’s lightweight title with a first-round (technical) knockout win over Gray Maynard. Both defeats in the career of Maynard are by (technical) knockout. After starting his career with an 8-0 record and winning the World Extreme Cagefighting (WEC) bantamweight title, Brian Bowles has lost three of his past five fights, all by (technical) knockout or submission. 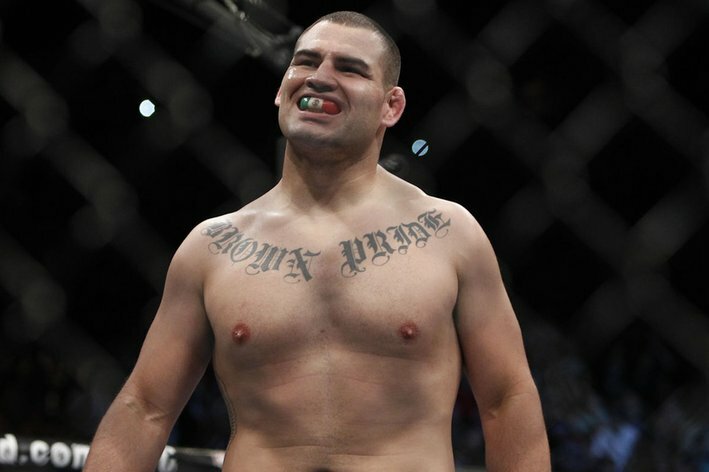 Velasquez earned his eighth (technical) knockout victory in the UFC, which is the most of any heavyweight in the organization’s history. Dos Santos and Andre Arlovski are tied for second in the category with seven career (technical) knockout wins. Donald Cerrone landed 78 total strikes in his decision win over K.J. Noons, the most of any fighter on the card. Dos Santos, Hunt, Grant and Teixeira earned $50,000 post-fight bonuses. Khabib Nurmagomedov’s 21 completed takedowns against Abel Trujillo are the most ever in a UFC bout. Sean Sherk, who completed 16 takedowns against Hermes Franca in a five-round fight at UFC 73 in July 2007, held the previous record. Jeremy Stephens ended a career-worst three-fight losing streak for his first victory since June 2011. “Lil’ Heathen” improved to 1-0 since dropping to the featherweight division. Estevan Payan lost a fight by decision for just the second in his career and first time since Oct. 2008 — a span of over 4.5 years and 13 fights. Five of the seven defeats in the career of K.J. Noons are by decision. Mike Pyle is on his first four-fight win-streak since 2008. The 37-year-old, who is the oldest active fighter in the welterweight division, has won seven of his past eight UFC fights with the lone defeat coming to Rory MacDonald. Dos Santos became the first person to win a UFC heavyweight fight by head kick knockout since Gabriel Gonzaga defeated Mirko Filipovic at UFC 70 in April 2007. Velasquez is 2-0 in his career in rematches. Silva lost to Velasquez by first-round (technical) knockout for the second time in a 365-day span. “Bigfoot” was defeated in a total of four minutes and 58 seconds and only landed a total of five strikes in his two contests against the reigning champion. UFC 160 reportedly drew an attendance of 11,089 for a live gate of $2,429,000. Grant’s five-fight UFC win-streak is the second longest in the lightweight division behind divisional champion Henderson. Grant improved to 5-0 since dropping down from the welterweight division. Dennis Bermudez has won four-straight UFC fights since losing to Diego Brandao in the featherweight finale of The Ultimate Fighter (TUF) 14. Cerrone’s four completed takedowns in his win against Noons is a personal best for a single bout in his 19-fight ZUFFA career (UFC and WEC). His previous best in a single fight was three completed takedowns. Total fight time of the 12-bout UFC 160 fight card was two hours, seven minutes and 48 seconds. Colton Smith became just the sixth winner of The Ultimate Fighter (TUF) reality show to lose their first fight after winning the finale. Joe Stevenson, Amir Sadollah, James Wilks, Jonathan Brookins and Diego Brandao are the others. Nurmagomedov tied interim bantamweight champion Renan Barao for the longest MMA win-streak of any active UFC fighter with 20 wins in a row. Teixeira, who also fought on the card, is second in the category with a 19-fight MMA win-streak. Grant has finished his opponent by (technical) knockout or submission in 17 of his 21 professional victories. George Roop improved to 2-0 since returning to the UFC bantamweight division. He is on his first two-fight win-streak since Oct. 2007 — a span of 2058 days (5.5 years) and 14 fights. Betting favorites went 8-4 on the card. Grant, Pyle, Whittaker and Roop were the underdogs to earn victories. Did you learn anything new/interesting? Do any of the facts change your perspective on Saturday’s fights? Common opponent Junior dos Santos compares the punching power of Cain Velasquez to that of Mark Hunt at the UFC 160 post-fight press conference on Saturday (May 25, 2013) evening. — Ultimate Fighting Championship (UFC) heavyweight contender Junior dos Santos compares the striking power of his last two opponents –Mark Hunt and Cain Velasquez– at the UFC 160 post-fight press conference (watch it here) Saturday night on Las Vegas, Nevada. Not all that surprisingly, dos Santos gave the nod in punching power to “The Super Samoan,” who has long been considered one of the heaviest hitters in all of mixed martial arts (MMA). What is interesting about the statement, though, is the fact Velasquez was able to inflict much more damage in his fight with “Cigano” than Hunt was able to, even knocking down the Brazilian with his strikes in the first round. While Velasquez’s power may not stack up to Hunt’s –in reality few have possess that kind of power– but as evidence in his knockout of Antonio Silva in the UFC 160 main event, the American Kickboxing Academy (AKA) still packs a pretty solid punch.